There’s one big catch, though. Fusion energy has yet to achieve the milestone of actually generating more energy than is required to get the process going. But now, according to Reuters, are hoping to achieve fusion power generation by the year 2040. 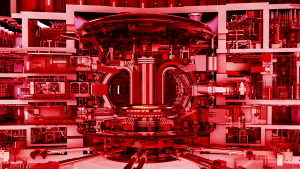 Meanwhile, the international nuclear fusion research megaproject ITER, made up of some 35 nations around the world, is planning to achieve fusion in its own massive tokamak by 2025.